I ordered a stump bucket on Oct 3rd in the afternoon. The product showed up at my door on Oct 5th (and I’m 4 states away)…I couldn’t believe how fast it was shipped out! 30 minutes after getting it off the truck and putting on my Terex PT 70, I already had a stump dug out! Great product and extremely fast service. Thanks for the help! Skid Pro is an Industry Leader in Skid Steer Attachments! 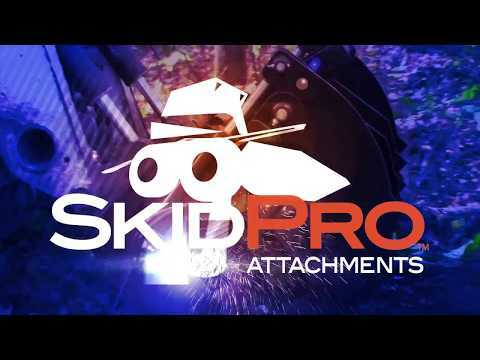 Skid Pro builds and delivers the highest-quality attachments available in the industry today! We offer over 100 attachments for skid steer & track loaders, fully compatible with all major make & model skid steers. Our premier, USA-made products are engineered to deliver maximum performance in the most extreme work environments. Top-tier quality, competitive prices and old-fashioned customer service gives unparalleled customer value!